Matching up with the requirements of our clients, we are involved in offering Oasis Florist Kit. We are dealing in Cable Cutting Tools. Designed for electric cable, copper, aluminum, etc. Backed by years of industry experience, we are engaged in offering a premium quality range of Cable Cutter Tools. Offering the wide assortment of cable cutting tools that are known for their unique features and long service life thus providing total satisfaction to our clients. 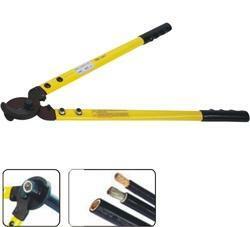 These tools are manufactured from top quality materials and as per the set standards. Meeting diverse demands of various industries, we offer these tools at most competitive prices. These are our heavy cutters suitable to cut hard wires, bars and rods with high percentage of carbon contents. 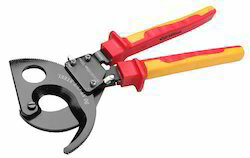 Manufactured from special alloy steel, drop forged and heat treated, these bolt cutters cut hard material like shutter wires, pre-stressed concrete wires quite comfortably. Blades forged of high quality steel. Unique jaw shape keeps cable round during cutting. application copper cable: 2 awg flexible , aluminum cable: 2 awg stranded.